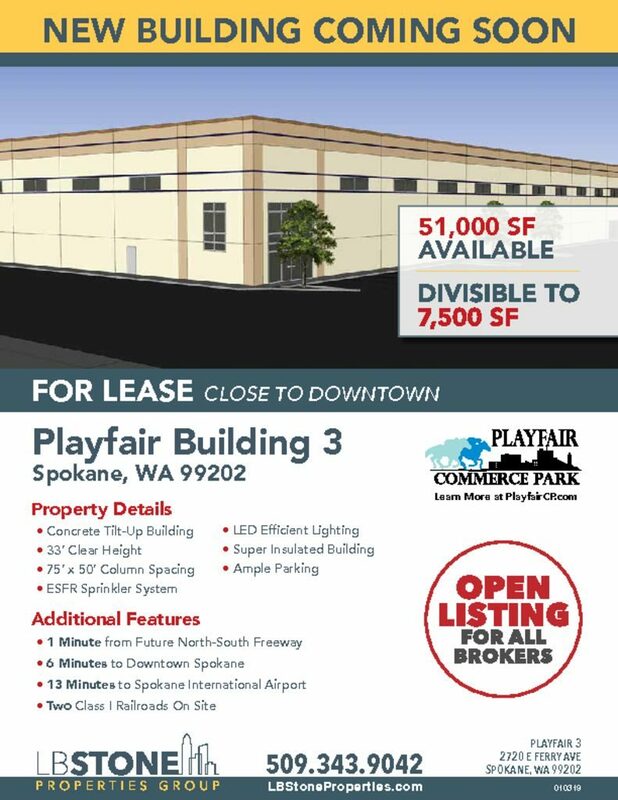 Playfair Commerce Park in East Central Spokane is pleased to announce the construction of its newest building, Playfair 5, the fourth warehouse/industrial property in the park. Construction of the building will be concurrent with a road project from Altamont Street to Ferry Avenue. The building’s scheduled opening is summer, 2017. 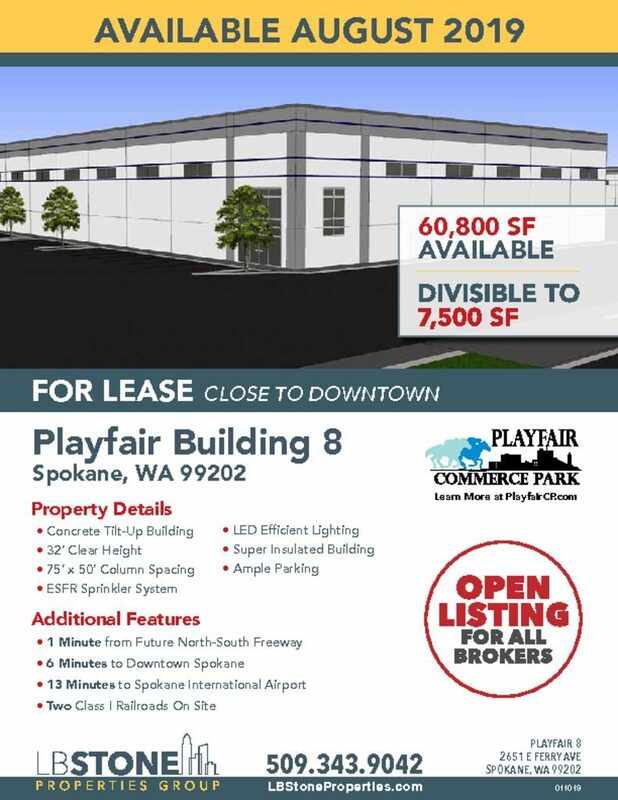 For leasing information, call (509) 343-9042, or visit www.lbstoneproperties.com. 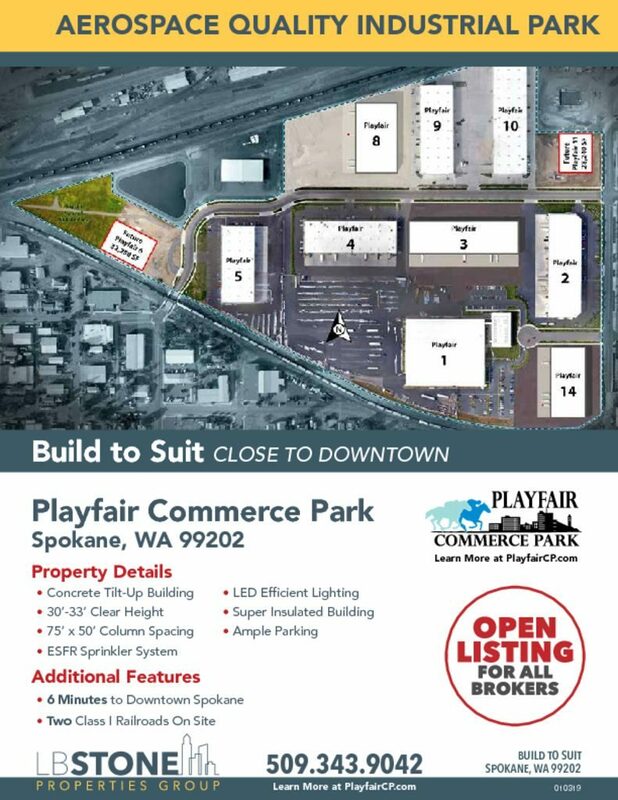 Playfair Commerce Park is owned and operated by LB Stone Properties, a developer, owner and property manager of warehouse and industrial properties in Alaska, California, Hawaii, Idaho, Montana, Nevada, Oregon, and Washington.